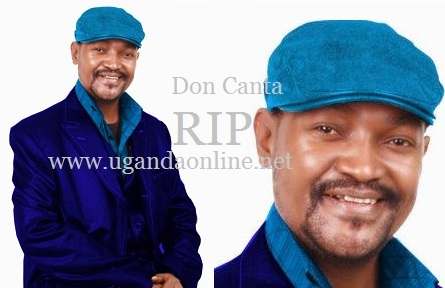 One of the longest serving members of Afrigo Band Don Canta Ibanda has passed on. Afrigo Band is Uganda's greatest band that has been in existence since 1975. This will be a blow to Afrigo fans. 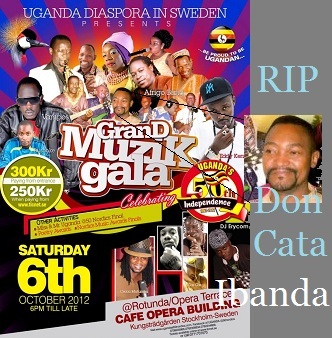 Juliana Kanyomozi: "Rest In Peace Don Canter..... As a huge fan of Afrigo Band, I will surely miss your Talent." Iryn Namubiru: "Another great voice is gone. R.I.P. Don Canta. We were last on stage together this past July at Jazz Ville Bugolobi. All my condolences to his family, friends and the music fraternity." His last performance was in Sweden on Dec-6 in a Grand Music Gala celebrating 50 years of independence but it was too cold yet he had a history of Asthma and pressure. He passed on at 5am on Saturday.